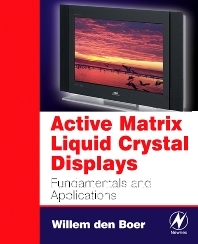 · Systematically discusses the principles of liquid crystal displays and active matrix addressing. · Describes methods of enhancing AMLCD image quality. · Extensive coverage of AMLCD manufacturing techniques. · Thorough examination of performance characteristics and specifications of AMLCDs. Designers of devices requiring a display. Electronics engineering students. Principal Scientist, Planar Systems, Inc.